HDDs, SSDs And SSHDs — What’s the Difference? Storage memory is one of the fundamental components of a computer. Every known computer, from the room-sized juggernauts from 50 years ago to the smartphones of today, has some sort of storage that keeps all of our data. The first forms of computer storage were punch-hole cards, and their capacity was around 10 bytes. That’s very small compared to the modern mid-range hard drive, which has the memory capacity of one hundred million punch cards. Then came the tape. Old Commodores and ZX Spectrums ran on cassette tapes. With the introduction of tapes, the storage capacity improved tremendously at the cost of fragility. They were very finicky and would degrade easily. The last modern forms of storage before hard drives were floppy disks. Luckily, I was old enough to had gone through the period of using floppy disk. Back in the days when you are installing Windows, you’ll have to insert a numbers of disks to complete the software installation. 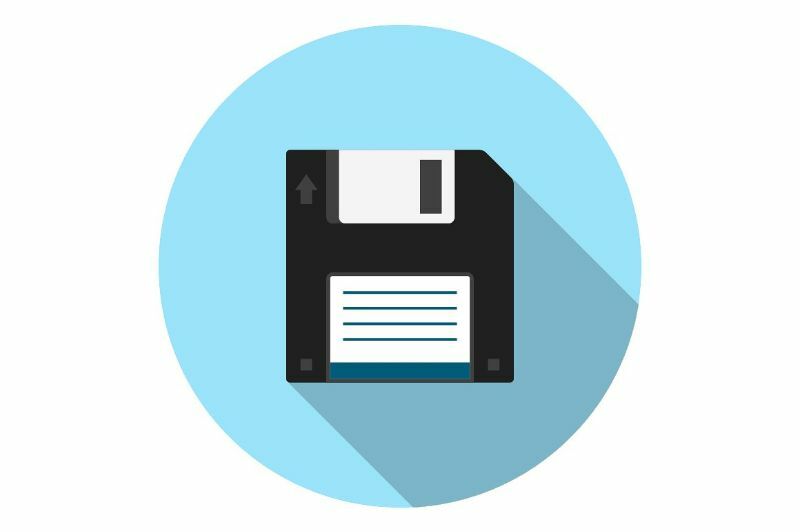 The maximum capacity of a floppy disk was around 5 megabytes. And that’s not much compared to the modern hard drive, which has the capacity of two hundred thousand floppy disks. It was then that we began to see the exponential growth of computer technology. In a span of 30 years (1950–1980), we saw a 500-fold increase in memory capacity. At that time, that was a miracle. Little did we know that the growth rate of computer technology was only starting to accelerate. Before the mid-eighties, only a handful of people around the world even knew what a hard drive was. And even they were mostly scientists, technicians at research labs and corporate data centers. By the end of the decade, you couldn’t get a personal computer that didn’t have a hard disk drive. 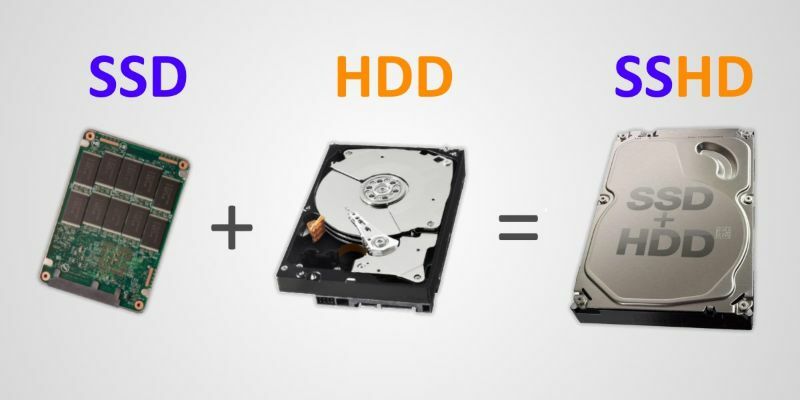 HDD stands for Hard Disk Drive. Currently, it’s the most popular form of non-volatile computer memory in the world. It has been dominating the market for a long time, ever since the mid-1980s. The only challenger in their decades-long reign was their solid-state competition, the SSD. A hard disk drive works using a series of thin ferromagnetic platters that are stacked one on top of the other. Each platter consists of small individual components. A head moves along the platters and magnetizes one component at a time. Each component represents a bit of data (1 if it is magnetic and 0 if it’s not). The head actually serves a dual purpose — it can either write data or read it. 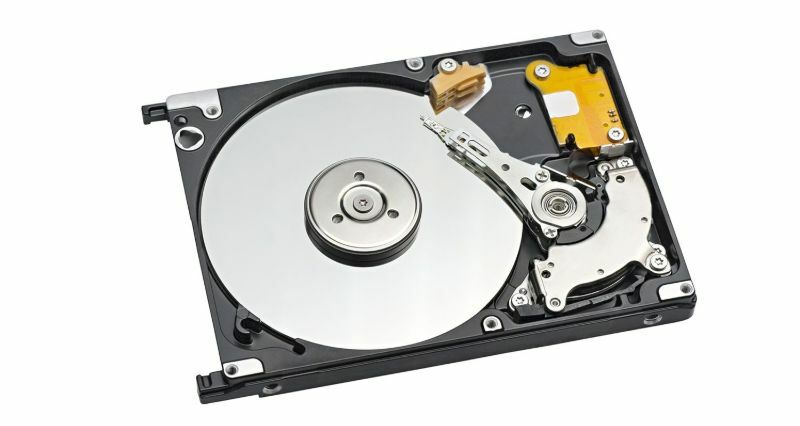 The hard drive is the last fundamental component of a computer to have moving parts. The platters spin at great speeds (in most cases it’s 5400 or 7200 rotations per minute), while the head moves around the platters themselves. When you consider the fact that they involve spinning parts, magnetic heads, and a total seal from air and dust, hard drives are great. They have a fairly long lifespan (around 5 years), and they’re quite reliable. In addition, most computers nowadays run using a hard drive. Still, their solid-state competitors are slowly but surely taking over the market. But the greatest weakness of HDDs is the low data transfer speed, as well as a relatively high power draw. When compared to solid-state drives, they just don’t add up. Moreover, HDDs are more susceptible to mechanical shock and vibration. I did dropped mine (portable hard drive from WD) and it ended up in the dustbin. Solid-State Drives, also known as SSDs, are a relatively new type of computer storage. For the last 15 years, we’ve been using them as external storage in the form of flash memory (memory sticks and cards). A couple of years ago, when they became more affordable and accessible, they became the primary computer storage option. The fundamental technology used to operate SSDs has been around for decades. It’s the same technology we use to make the computer’s RAM (or operational memory). Unfortunately, RAM disks wipe all their data out when we shut off the computer. It took decades of research to get around this issue. As a result, in the early 2000s, flash drives and memory cards flooded the market. Nowadays, SSDs are nothing more than a bigger, faster version of flash drives. We can divide SSDs into two different categories — NAND Flash Drives and 3D X-Point Drives. NAND Flash Drives are just multiple flash drive chips soldered to one another with a smart controller. This controller acts as the head of a hard drive — it knows where each file is in the drive and works as a mediator between the computer and the drive. The data is stored as an electrical charge in the flash chip, which degrades over time if not powered. So if we don’t use it for more than 2 years, we can say goodbye to our data. On the other hand, 3D X-Point technology works by changing the resistance of every individual bit of data, which makes its lifespan theoretically infinite. However, 3D X-Point Drives are not as popular. They’ve only been available for a year or two, so we don’t surely know what their capabilities are. To put it simply, SSDs are the future. In terms of transfer speeds, they run laps around hard disk drives. For example, a PC with an HDD takes about a minute or two to boot up. On the other hand, the same PC using an SSD takes about 10 seconds. HDD has been the biggest bottleneck of PC performance for the last 10 years. To be fair, hard drives still have some advantages. They’re cheaper (at least for now), and their lifespan is longer. Be that as it may, SSD technology is evolving year after year, and soon HDDs will be a part of history. SSHD stands for Solid-State Hybrid Drive. 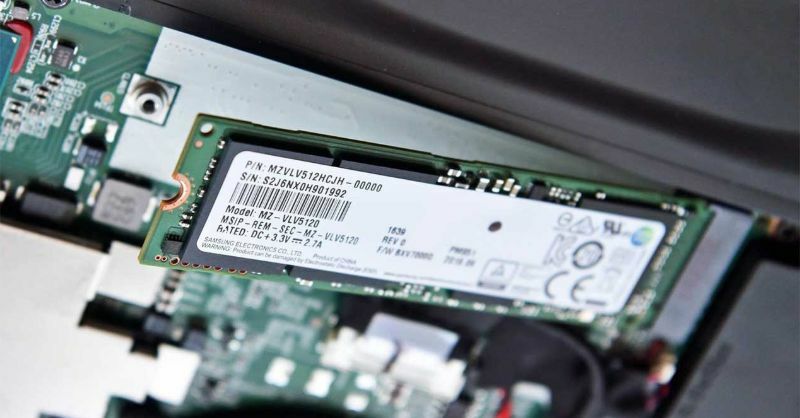 It was introduced as a form of an intermediary step between HDDs and SSDs. It works on a simple principle — an HDD holds all of the data stored on the drive, while a small SSD holds the data we use the most. The SSHD has the big capacity of an HDD, as well as most of the speed of the SSD. Moreover, SSHDs are competitively priced, being only a fraction more expensive than regular HDDs. Unfortunately, with the advancements in SSD technology, even SSHD will become obsolete. For now, they remain a competitive offer for people on a budget or those who require great capacities at a low cost. Most of the laptop or computer which is price competitive are using the combination of SSHD to bring down the cost. With the prices of SSDs going down month after month, it’s really difficult to resist buying one. Most people say that when you switch to an SSD, you feel little to no difference. Only when you switch back to a computer with a hard drive will you realize what a difference an SSD makes. Boot and program loading time, data transfer speed — they all improve vastly when you switch to an SSD. Over the long run, we believe pCloud Lifetime provides a better ROI over any traditional storage method. Of course, not all uses require the high speed of an SSD. Storing and reading media such as documents, pictures, music or videos can be done with an HDD, too. Better so, it can be done at a lower cost. That’s why most people still use an HDD for media, even when their system is running on an SSD. However, with the competitive prices of SSHDs, we recommend that you use SSHDs for media storage, since they still drastically improve loading times, most evidently in games. We believe cloud storage is the future. Why don’t get yourself a Lifetime Cloud Storage of 2TB that will surely outrun the value or price in the long run compare to a Hard Drive.